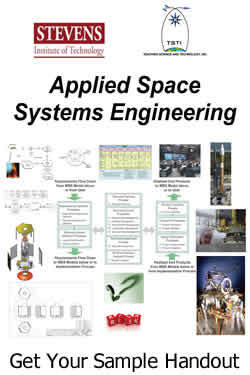 This three to five day tailorable course examines the practical application of space systems engineering processes throughout the life cycle. 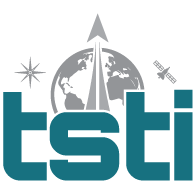 The course is aimed at practical, hands-on application of systems engineering tools and processes that can be realistically applied within your project environment to produce effective space systems. Using a combination of lecture, interactive discussions and group exercises, the course presents a detailed review of 17 major systems engineering processes within three major categories: Design, Realization and Systems Engineering Management. 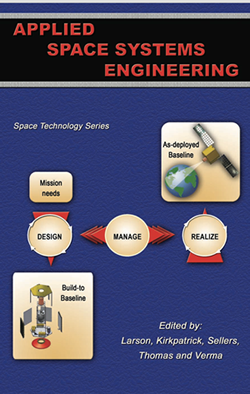 A detailed end-to-end space system case study is used to translate theory to practice by illustrating detailed how-to examples for achieving and establishing each major technical baseline throughout the mission life cycle.